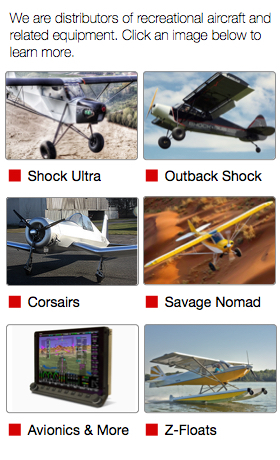 Aircraft landing systems that set the standard for rugged environments. That’s what the Alaskan Bushwheel brand means. SportairUSA offers the full line of Alaskan Bushwheel products, including tires, wheels, tailwheels, brakes, landing gear upgrades and more. Alaskan Bushwheels™ are designed for use in off-field and backcountry operations. Larger and softer, they provide increased ground and prop clearance, and maximum shock absorption. 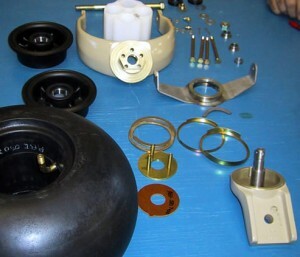 Alaskan Bushwheels are a unique tire designed for use on light aircraft. These tires are handcrafted onto airbags, have a sidewall valve-stem, and fit standard 6.00 x 6” wheels. The air pressure in bushwheels can be lowered for rough-ground usage and the pilot does not have to worry about tire slippage and stem shearing. Alaskan Bushwheels™ ARE FAA TSO C62d approved. 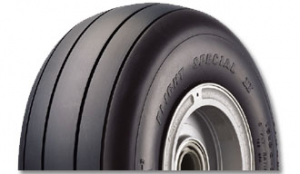 The Airstreak family of tires is FAA TSO approved with STCs available for aircraft under 1,700 lbs gross. Modeled after the standard Alaskan Bushwheel, but lighter for the LSA community. Tailwheel assemblies are manufactured in multiple configurations, as direct replacements for the Scott 3200 and Scott 3400. Different fork lengths and widths are available. A Beaver tailwheel assembly has also been completed. STC’d for the DeHavilland DHC-2, the Beaver tailwheel fork kit comes complete with axle, fork, trunnion and drag link. Other items manufactured by Alaskan Bushwheel include landing gear for the Maule, 10″ wheels, and tailsprings for Husky and Maule. Goodyear is the premier U.S. manufacturer of general aviation tires, supplying OEM and replacement products for everything from light sport to business jet aircraft. Flight Special II tires feature wide rib tread design, large footpring, tough-wearing tread rubber and triple-tempered nylon casing cord. These tires provide enhanced traction, uniform wear, extended service and quality construction. These tires are an excellent choice for light sport aircraft and GA aircraft manufactured by Cirrus, Diamond, Cessna, Hawker Beechcraft, SAAB and others. 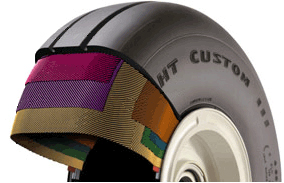 Flight Custom III tires are premium GA tires with the toughness of Kevlar. They feature deeper tread depth, extra-wide Aquachannel Grooves, Kevlar belts and dual plymer tread compound. Benefits include upt to 20% more landings, superior wet traction, enhanced treadwear and dimensional stability, and better traction overall. These tires are a superior choice for light sport aircraft and GA aircraft manufactured by Cirrus, Diamond, Cessna, Hawker Beechcraft, SAAB and others. 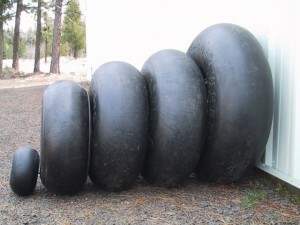 Flight Eagle, Flight Eagle LT and Flight Radial tires are also available.